Francis is headed to Panama for a trip focused on young people, CBS News reported. The government shutdown over Trump’s border wall has stretched on for more than 30 days. 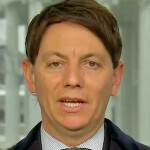 White House deputy press secretary Hogan Gidley made his disdain for BuzzFeed and Michael Cohen clear on Friday, criticizing the news outlet’s bombshell report that President Trump directed Cohen to lie to Congress about the Trump Tower Moscow project. President Donald Trump on Friday morning reacted to a bombshell report that said he directed Michael Cohen to lie to Congress about the Trump Tower Moscow project. President Trump’s daughter-in-law Lara Trump, a senior adviser for his 2020 campaign, on Friday sought to downplay an explosive new report that Donald Trump instructed Michael Cohen to lie to Congress about a real estate project in Moscow. Trump Responds To Pelosi: I'm Canceling Your Overseas Trip! President Trump on Thursday responded to House Speaker Nancy Pelosi’s (D-CA) call to delay the State of the Union address with a postponement of his own. House Speaker Nancy Pelosi (D-CA) wrote to President Trump on Wednesday seeking to reschedule his State of the Union address until after the government has reopened. Pelosi stopped short of disinviting the President to deliver the address, which is scheduled for Jan. 29. 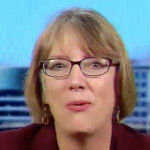 Former Ohio Gov. John Kasich is joining CNN as a contributor, Axios reported Tuesday.